I dig Melbourne– aka ‘Burn City’ – and paying a visit is always something to look forward to, not just because it is internationally renowned for its street art that is often rooted in provocation and controversy. 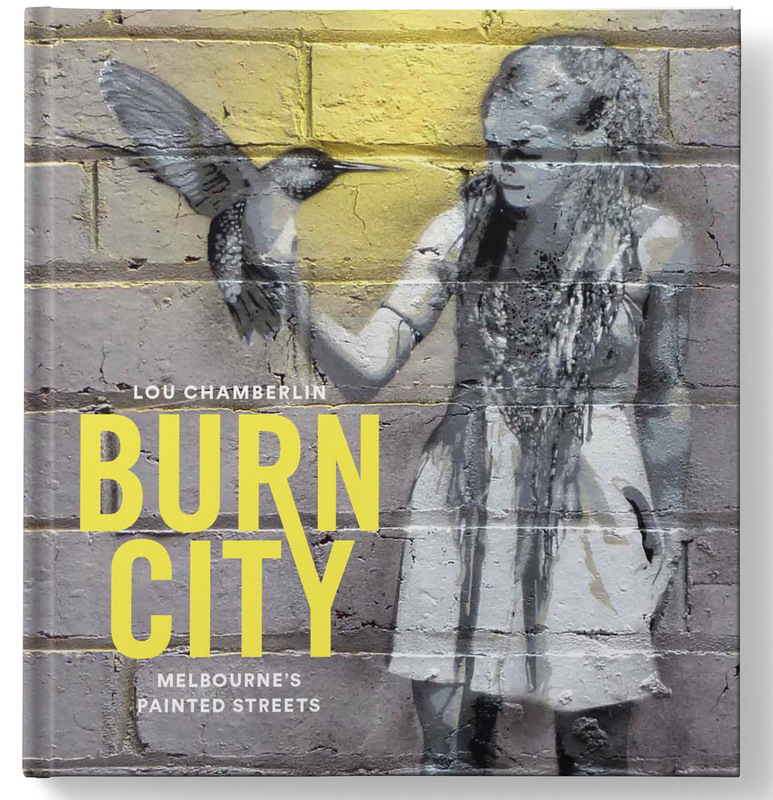 Burn City, curated by artist, artist and arts educator Lou Chamberlin, sheds light on the works of local and international artists that set out to colour the streets and concrete of Melbourne, be it targeting social issues, l’art our ‘;art or territorial pissings. The nal chapter, Same Wall New Paint, highlights the ephemeral nature that is street art by documenting the evolving artworks appearing and disappearing on the same over several years. The foreword comes courtesy of David Hurlston, Senior Curator of Australian Art at the National Gallery of Victoria, along with what follows constitutes an appropriate encouragement to get out in the territory and experience it all for yourself. Melbourne is a vibrant and eclectic city, and its street art is now a major tourist attraction. Places like Hosier Lane regularly act as backdrops for wedding photos, and play host to school excursions, street art tours, artists, observers and documenters as well as the usual foot traffic of city life, all drawn there by its robust street subculture. A well executed book that not only documents Melbourne rich history with street art, but amplifies it through its take on it and the angle it sheds light on.